American drivers could soon be partying like it's 1999. Oil prices have already taken a dramatic fall that's saved consumers big time at the pump. Last week, crude tumbled below $42 a barrel, down from $100 last year. One big-name investor is predicting an even sharper drop. "There is no evidence whatsoever to suggest we have bottomed. 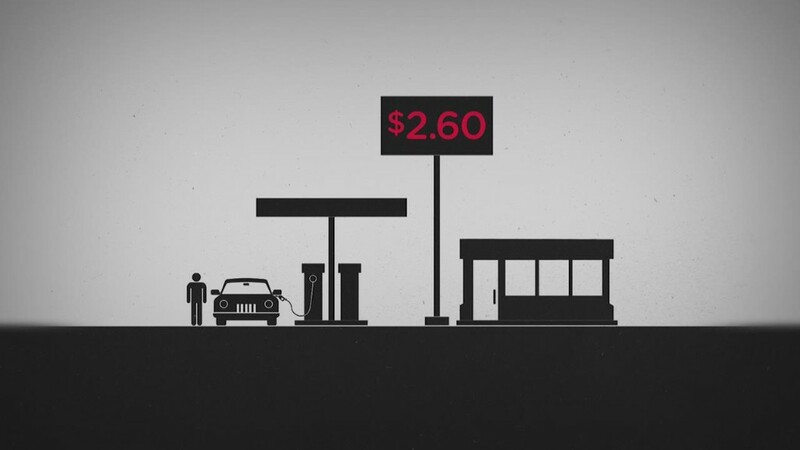 You could have $15 or $20 oil -- easily," influential money manager David Kotok told CNNMoney. A further decline to $15 a barrel would be huge. Oil hasn't traded that low since early 1999, when gasoline at the pump was selling for under $1 a gallon. Kotok's views on the economy and financial markets are closely watched. The 72-year-old co-founder of Cumberland Advisors manages more than $2 billion in assets and hosts an annual invite-only fishing trip that doubles as an economic summit. Known as "Camp Kotok," the event lures leaders in finance to Maine each summer. "I'm an old goat. I remember when oil was $3 a barrel," said Kotok, whose clients include former New Jersey Governor Thomas Kean. Oil prices have already suffered a stunning decline. They're down nearly 60% and trading at levels unseen since early 2009. It's been a blessing to American drivers. The average price of gasoline is now $2.66 a gallon, down from $3.45 a year ago, according to AAA. The big problem is the world still has more oil than it needs, especially given China's economic slowdown. The American energy boom that began last decade created a supply glut. OPEC, led by Saudi Arabia, has been unwilling to balance the market by cutting production. The oversupply problem may very well be amplified by the Iran nuclear deal. If the historic agreement goes forward, sanctions relief will allow Iran to drastically increase output. That could trigger a reaction from the Saudis, Iran's longtime rival in the region. "The Saudis' best weapon is the lowest oil price at maximum volume. They have enough financial reserves to have staying power for years," Kotok. On the other hand, Iran has far less financial flexibility and it needs higher prices to turn a profit. "With a low price, the Saudis are denying their enemy across the Persian Gulf money. That's an oil war," Kotok argued. 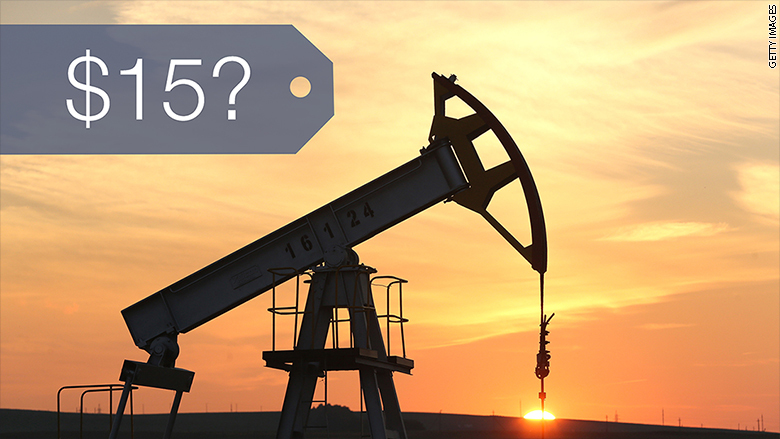 Oil at $15 may sound crazy, but some grades of crude are already nearing those levels. For example, Western Canadian crude, a heavier type of crude that is more difficult to refine, is currently trading in the $20 range. If history is any guide, seasonal forces may also start to pressure oil prices. The end of summer driving season tends to weaken energy demand, dragging prices lower. All of this is why Kotok is warning investors to stay far, far away from oil stocks. Unlike hedge fund giants David Einhorn and Carl Icahn, Kotok has been "max underweight" energy stocks since oil was sitting at $100 a barrel. That's been a smart play. The XLE Energy Select SPDR ETF (XLE) has lost over a quarter of its value over the past year. "There is an entry time coming in the energy patch, no question. In our view, it isn't here yet," Kotok said.